In July 2013, the Parks and Wildlife Commission of the Northern Territory (PWCNT) signed an historic Memorandum of Understanding with the Four Wheel Drive Association NT (of which the TLCC-D is a member) that will deliver benefits to the whole community. The Minister for Parks and Wildlife said "Off-roading is a popular pastime for many Territorians and this Memorandum of Understanding will enhance these opportunities for families and make them more enjoyable. "The agreement will allow members of 4WD NT greater access to 4WD drive tracks relatively close to Darwin which will allow them access to bush camping in our parks and reserves, meaning our regular public campsites will be less crowded. "The MOU will also be a two-way track, with 4WD NT and their members working closely with PWCNT to jointly promote conservation and ecologically sustainable visitor use in our parks as well as reporting regularly on environmental impacts, significant flora and fauna observations, weed management and other potential hazards." Under the MOU, access will be allowed by permit to many previously closed overgrown 4WD tracks and areas. The clearing of these tracks and keeping them open, with much of the manpower provided by 4WD NT, will also assist in allowing PWCNT to have greater fire control in these areas. 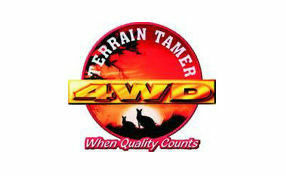 4WD NT is the peak organisation that represents four wheel drive clubs in the Territory. 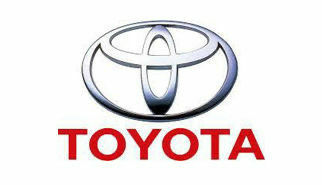 The Association promotes responsible 4WD family touring, environmental awareness, driver education and skills development. This MOU is unique to the Territory and relationship between NT four-wheel drive clubs and Parks serves as a model for cooperative park use across Australia. "MOU Trips", as the club knows them, require specific access permits and are sometimes for a relatively small number of vehicles due to the nature of the adventure. Trips are usually well subscribed because of their inaccessibility. Being a member of TLCC-D facilitates access. The blank pdf application form has fields so it can be completed without having to print it, provided you save it to your desktop first (otherwise the signature field doesn't appear).